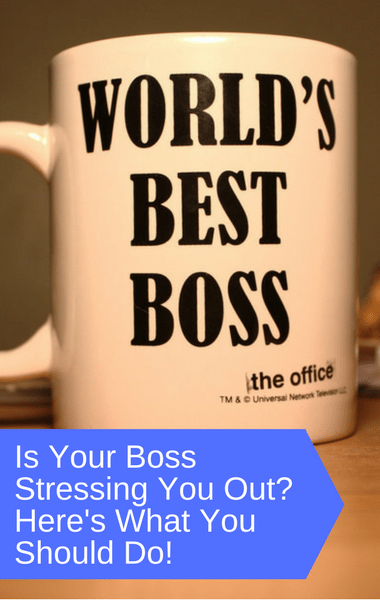 In a Dr Oz online poll, it was revealed that 51% of people are most stressed out by having to deal with a difficult boss. Dr Oz turned to Pedram Shojai, “The Urban Monk“, with mindful solutions. Dr Oz introduced a shadowy figure, explaining that it was a woman who’s identity and voice was concealed for obvious reasons. She doesn’t want to lose her job but her boss has been causing her so much stress that it’s begun to affect her health. She shared that she loves her job but she doesn’t feel that her boss even treats her like a human being. She feels like she’s being treated like a robot. She has even cried in the bathroom and has noticed a rise in her blood pressure to the point that she even has to take medication for it. It doesn’t help that she’s been working from 4 AM to 10 PM and feels like she is constantly having to do things for her boss.